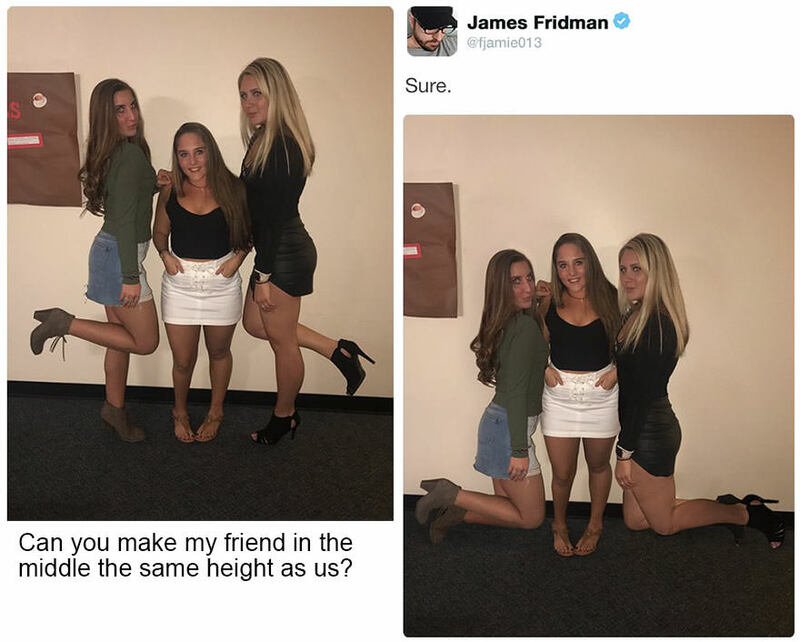 It is less likely that we take pictures and like them to be shared on social media without a little touchup. 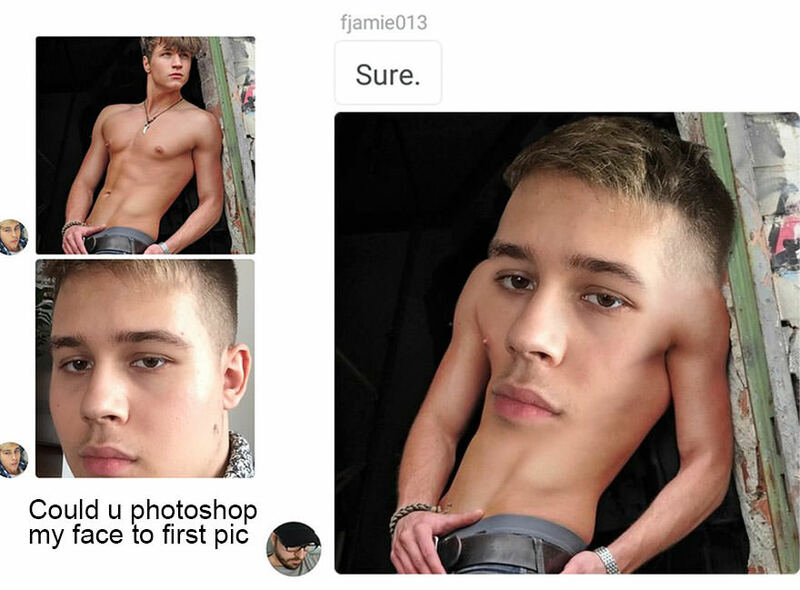 It is where our precious digital make up person comes in. 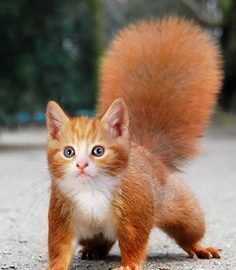 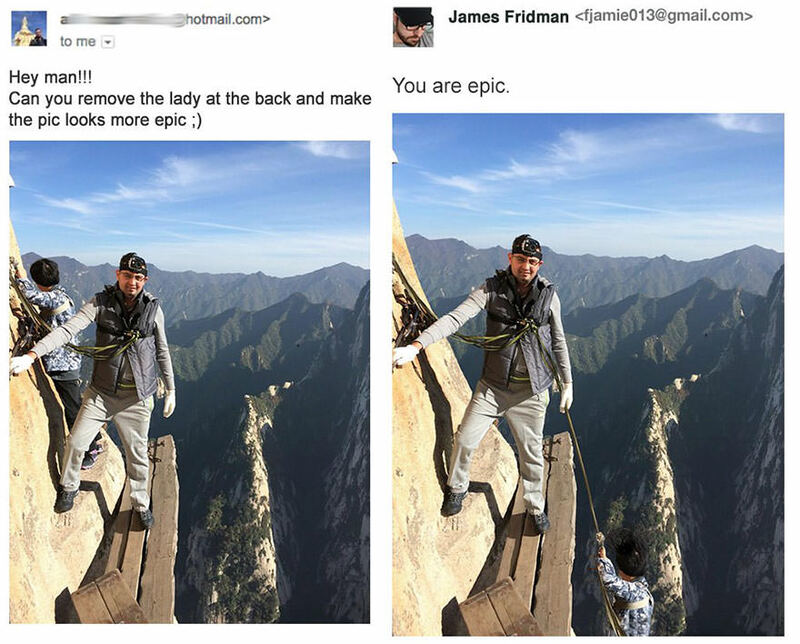 Theres a famous person who seems a master of photoshop and he would do what exactly you tell him. 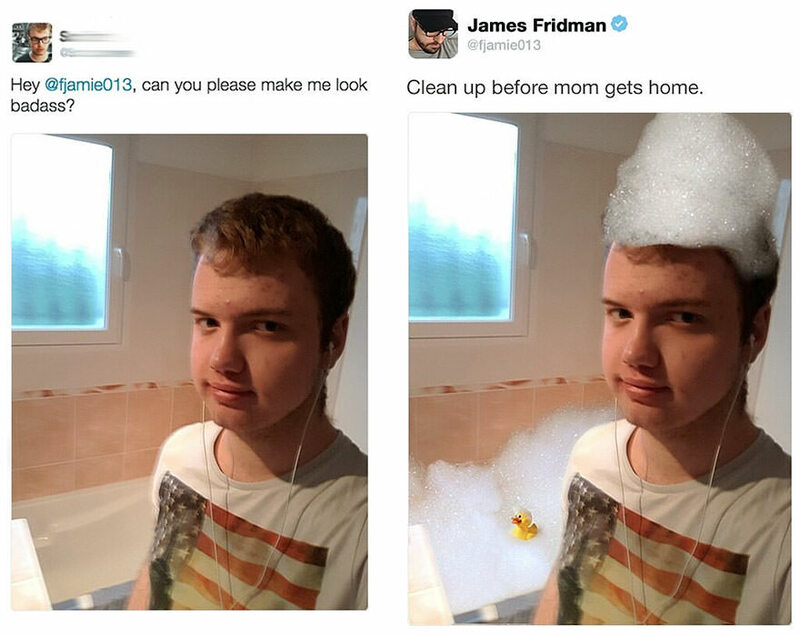 Still his pictures are funny fodder to feed twitter on. 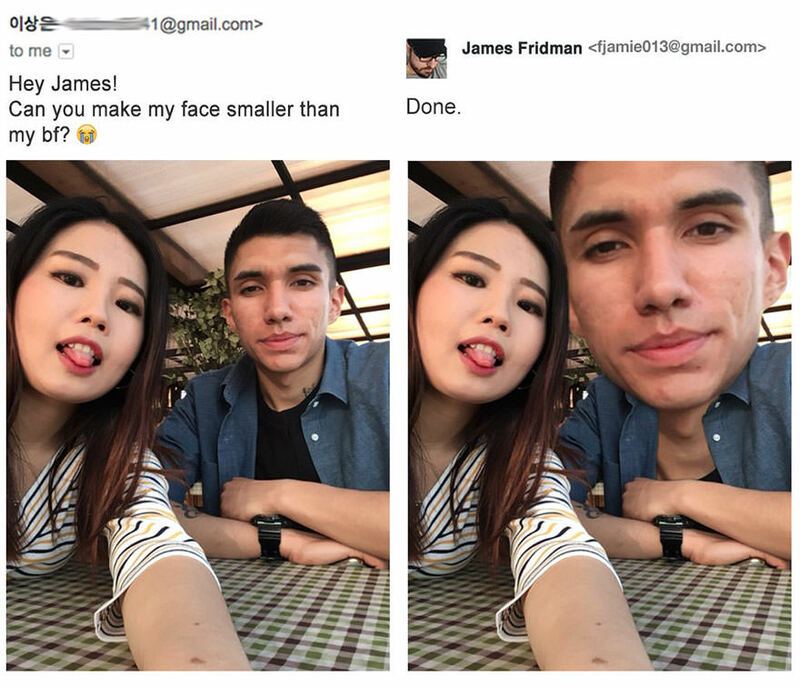 There are various people who asked him to retouch their pictures and the results are way too much focused than you think. 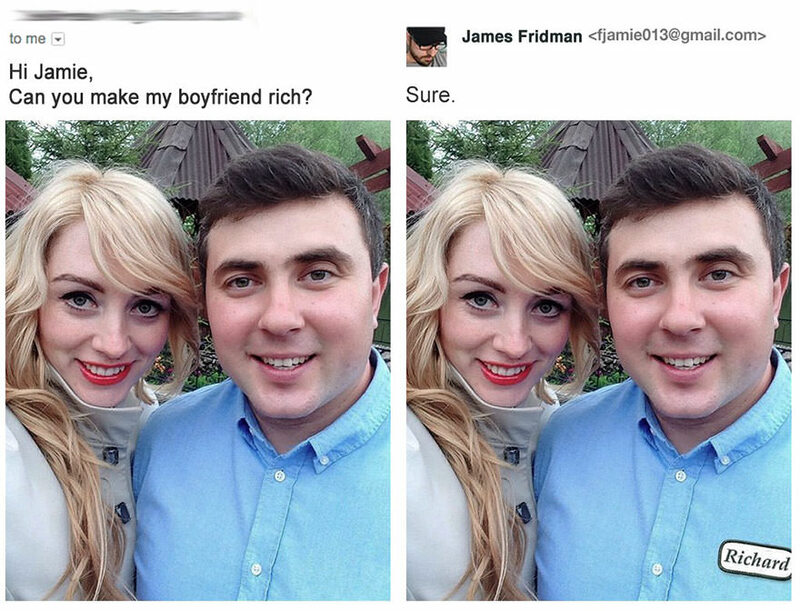 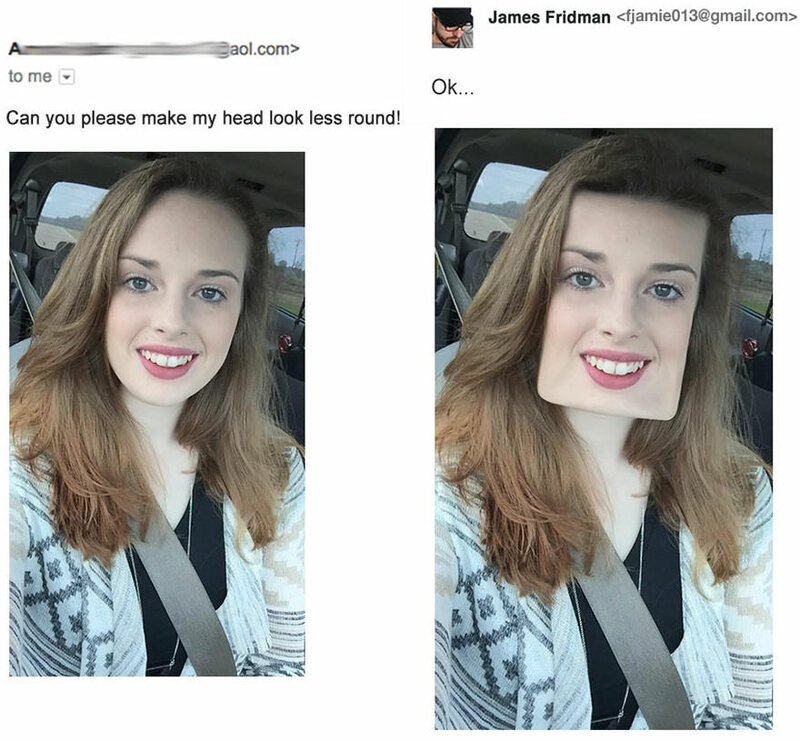 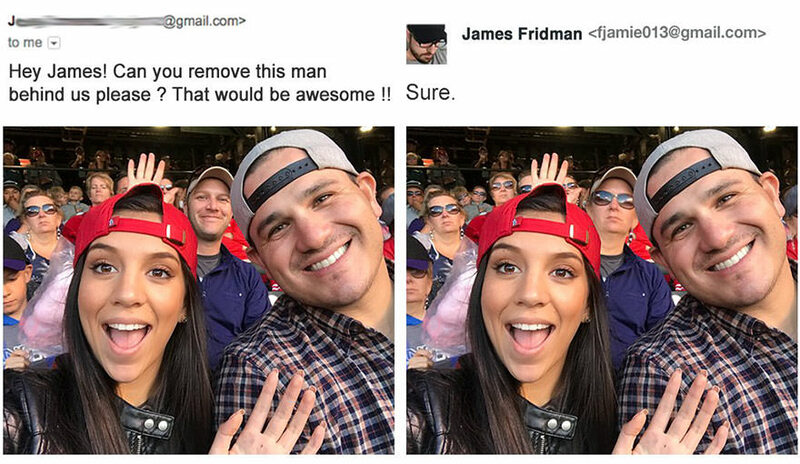 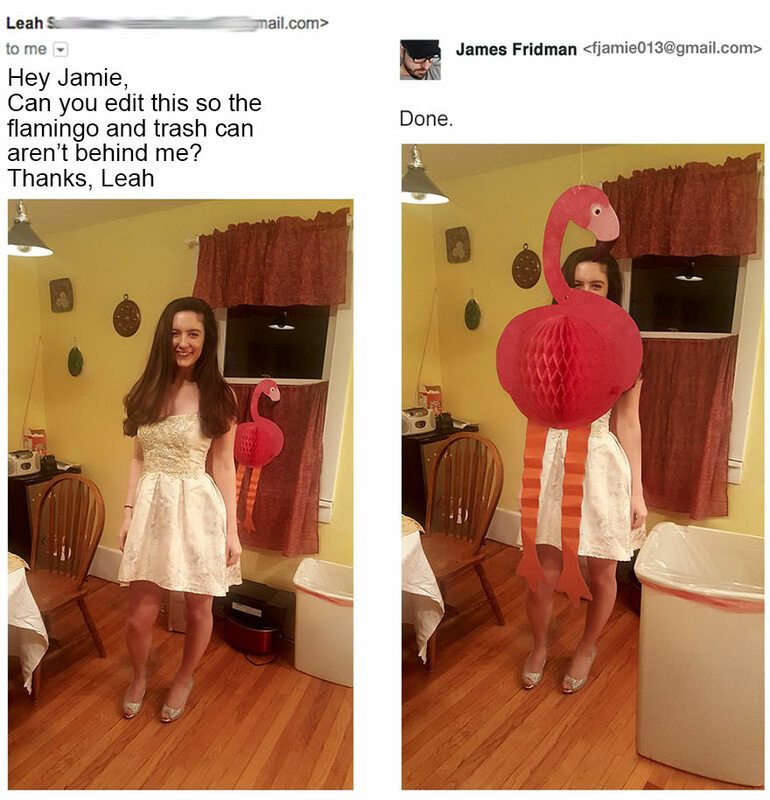 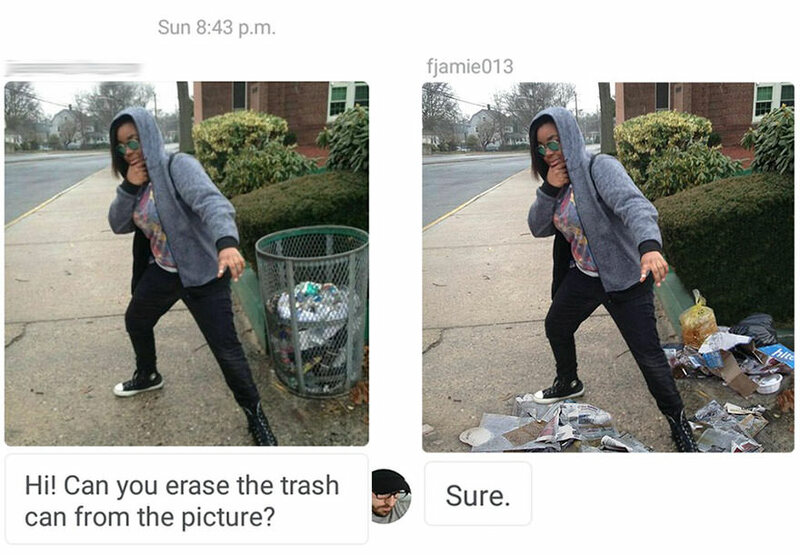 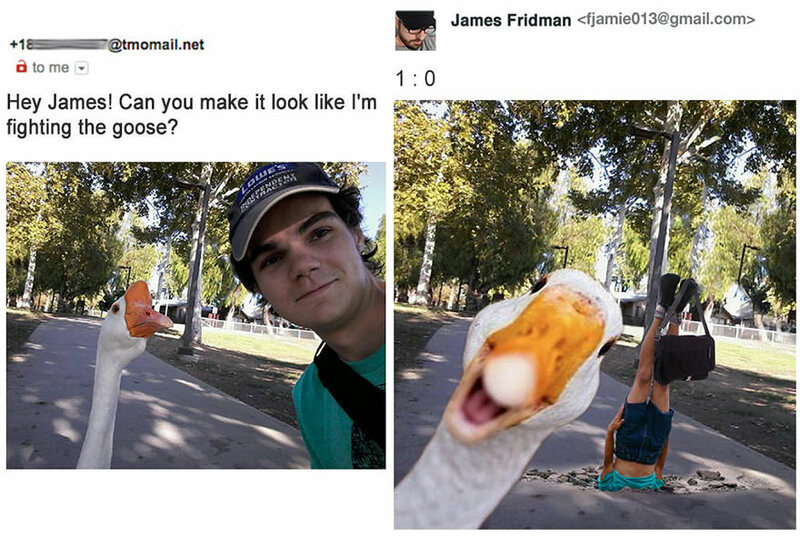 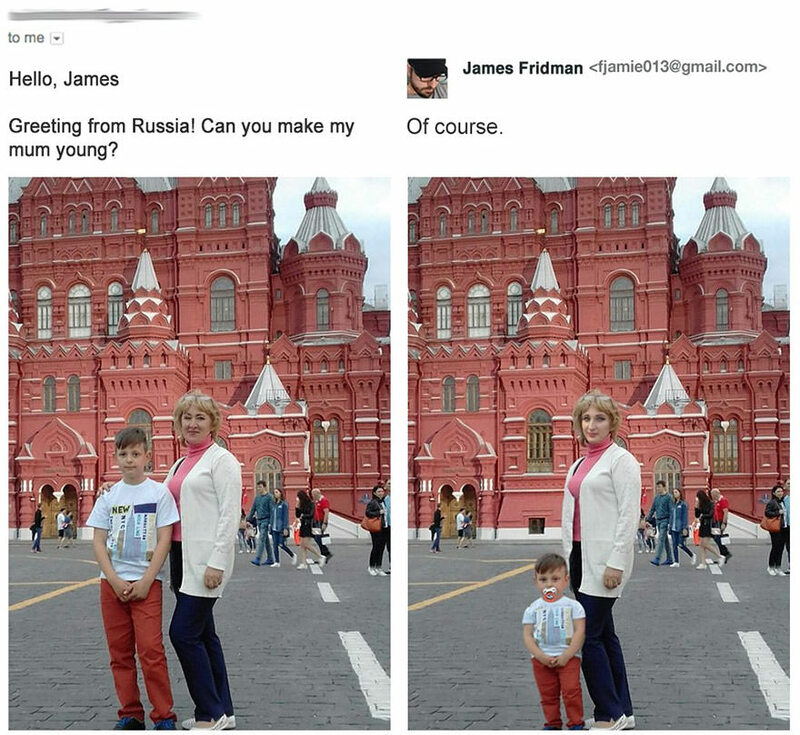 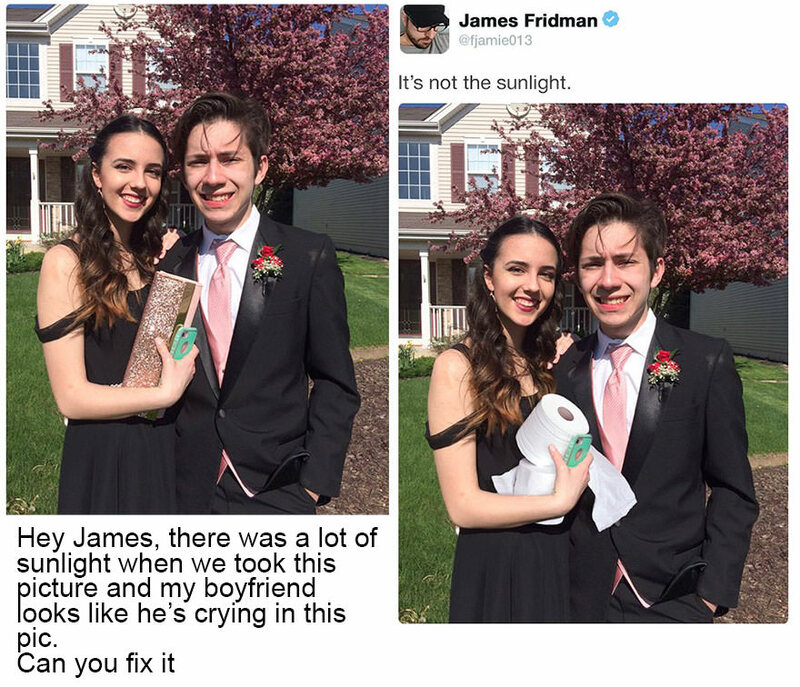 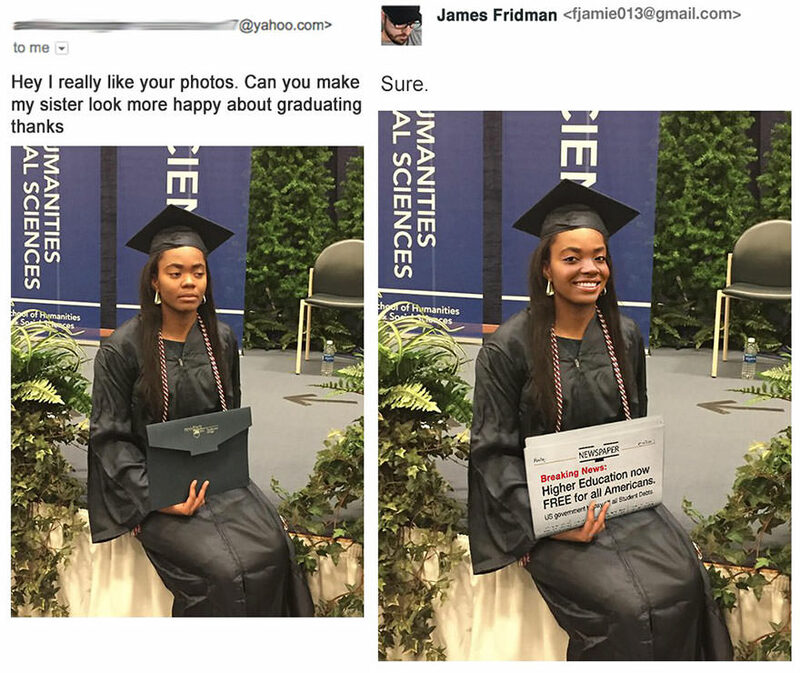 Whatever you want to be done to your picture, James Fridman is the man. 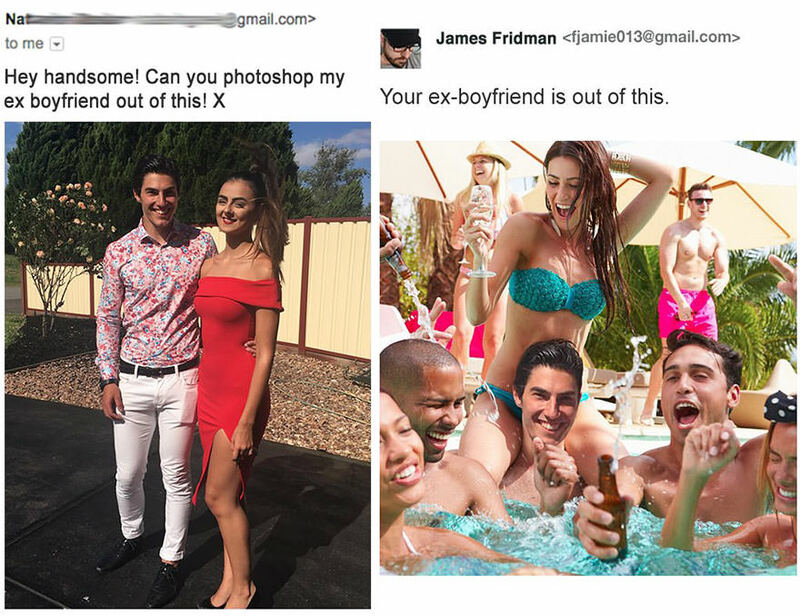 He can turn any simple photograph into an amazingly retouched classy photo.